Wedding make-up artistry is different from other types of makeup application. Wedding make-up artistry takes time to learn. 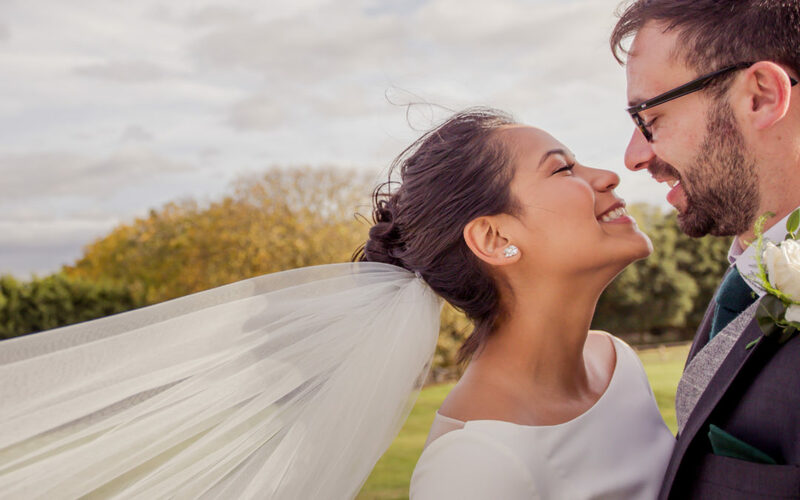 It is only after years of experience having made up many faces and seeing those images come to fruition in the professional wedding pictures that you know what works. Wearing SPF in your make-up will not make for a good photograph – you will often get a flashback on the camera and it can create that ghostly appearance on the skin that you so often try to avoid. You will need to wear more make-up than you might think in order for it to read on camera for your wedding. This does not mean that the wedding make-up artistry needs to be done in a larger way on your face or indeed really harshly – but the pigments need to be strong whilst your professional wedding make-up artist maintains smooth finishes. Wedding make-up artistry is worth the investment. You will not have to lift a finger to do your own wedding make-up – unless you particularly want to do any parts of the make-up yourself. And you will feel relaxed knowing that your wedding make-up is going to last the entire day. Copyright Hair & Makeup For Weddings 2019. All Rights Reserved.